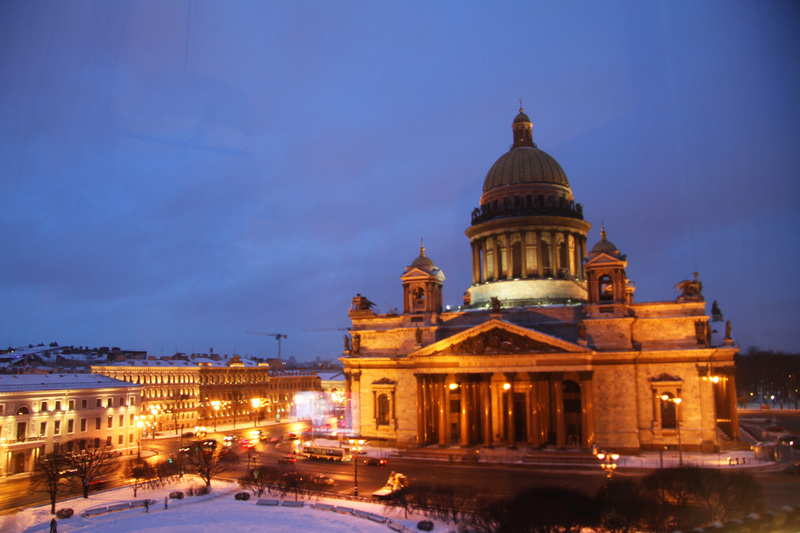 Our last day in Saint Petersburg was divided between a quick tour through St. Isaac’s cathedral (just across the street from our hotel), a bit of shopping, and a bit of errand running. We don’t normally have errands to run on vacation…but then again, we don’t normally get fined for trying to enter a country illegally – therefore forcing us into “fine paying” errand running. 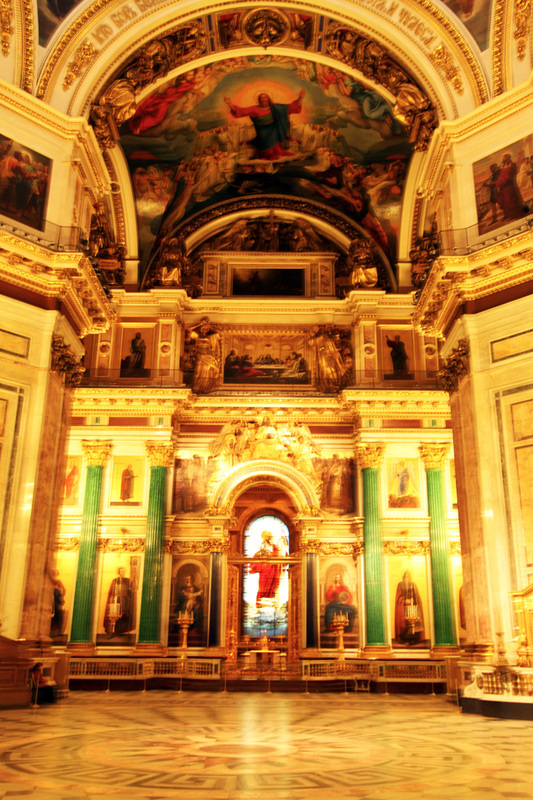 First stop – St. Isaac’s. 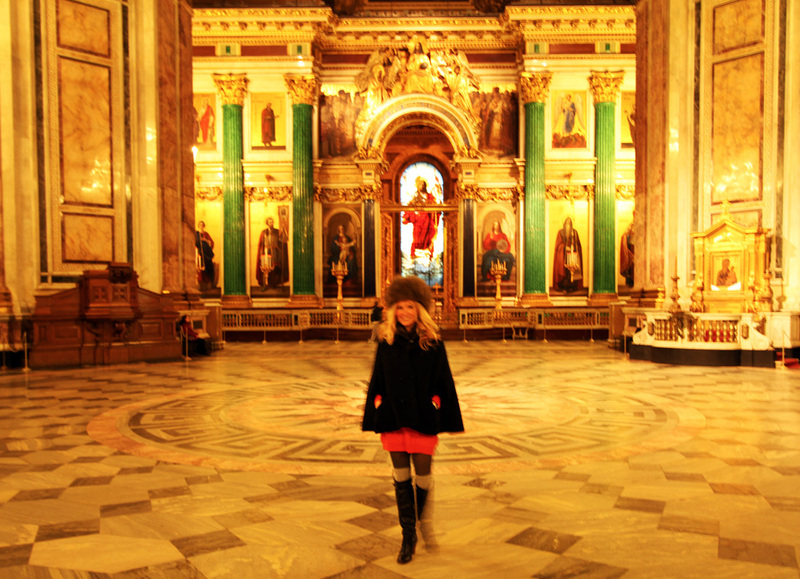 I am so glad that we did not leave Saint Petersburg without seeing the inside of this gorgeous cathedral. Like everything else we saw, it is gilded and decorated in an over-the-top manner. One thing is sure, the Russians certainly believe that Jesus prefers gold leaf to wood; however, according to Indiana Jones and The Last Crusade…this is not the case. 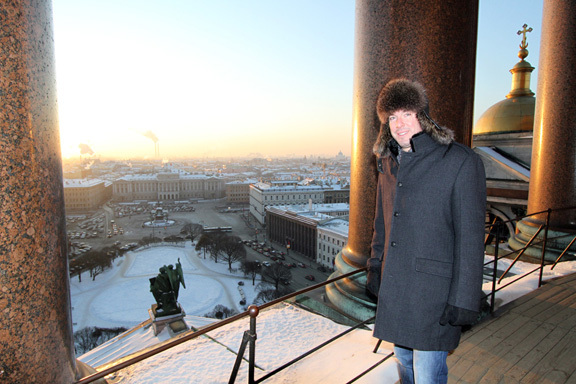 Brett on top of the colonnade at St. Isaac's. It was freezing...but it was worth it! Beautiful views of the city. Second stop – random Russian bank. With the help of our hotel concierge, we located a nearby branch of the bank that would accept payment for our Immigration fine. So, we took in the sloppily, handwritten form and hoped for the best. Fortunately, without so much as one word of English spoken, we were able to complete the task, get a copy of a very official receipt, and head on our merry way. Based on our debacle at the airport, we allowed 2 hours for this, but surprisingly – we were in and out in about 30 minutes. Kind of makes you think that it happens a lot, right? 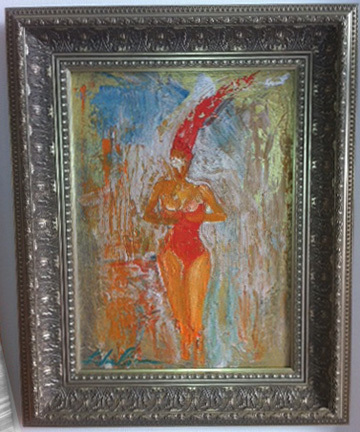 "The Woman in the Red Hat" by local Saint Petersburg artist Aminov Khalim. Oil on Canvas. The oranges and reds go perfectly in our apartment. Plus - I love a lady in a hat! 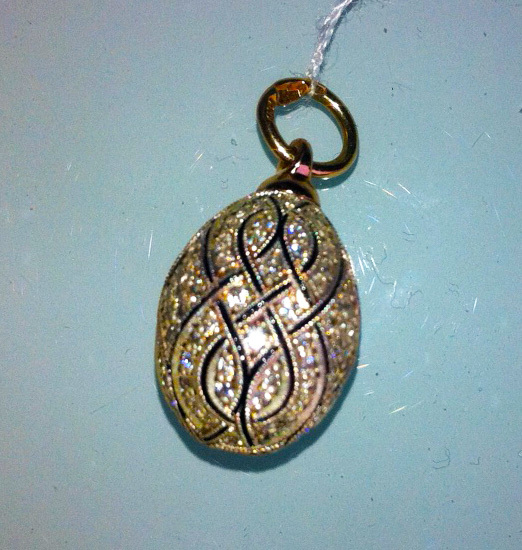 Gold, black enamel, and diamond egg pendant created by local Saint Petersburg jeweler Alexey Pomelnieov. A sweet reminder of our trip and a symbol of new life and love. A big thank you to my wonderful husband! A thank you kiss for my "little egg" ! Enjoying one last glass of champagne at The Kandinsky Bar at the Hotel Astoria before heading to the airport.